I love all animals but I’m mad about horses. 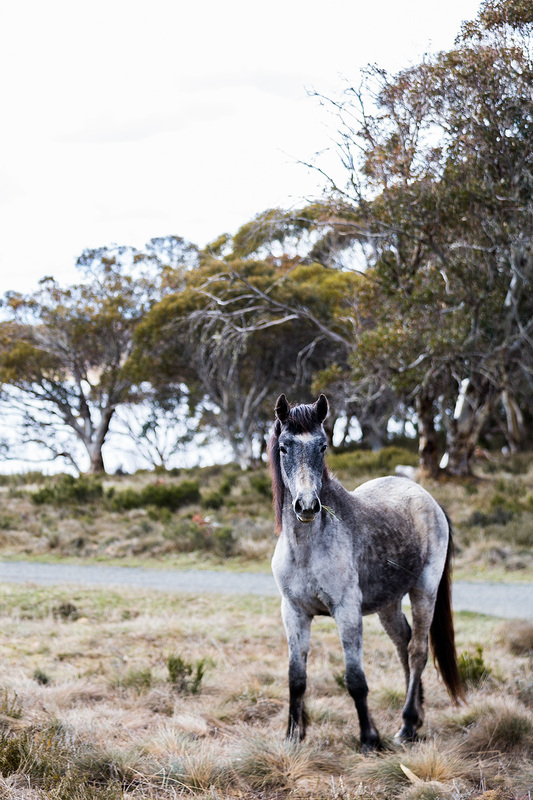 Ever since I’ve known about the wild brumbies that roam around parts of Australia, I’ve wanted to see them. 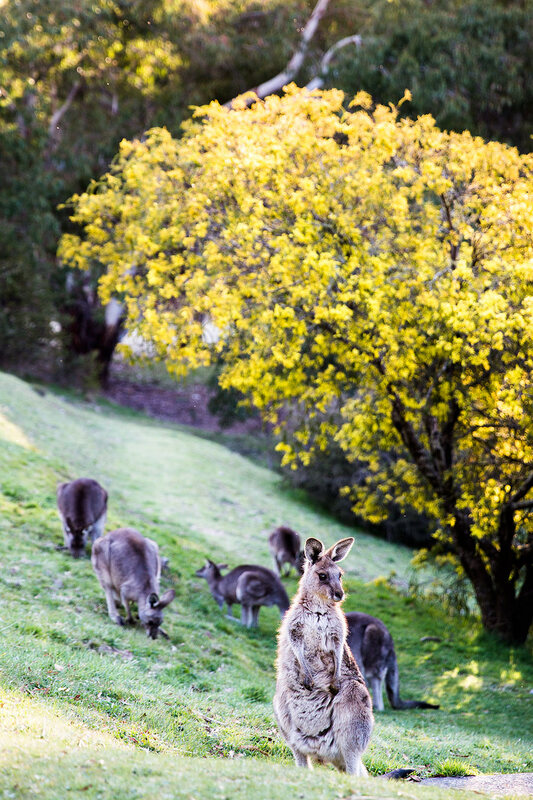 I knew that some of them lived up in Kosciusko National Park in the Snowy Mountains; located in New South Wales near the Victorian border, the ‘Snowies’ are somewhere I’ve never been, which made it the ideal place to begin exploring Australia. 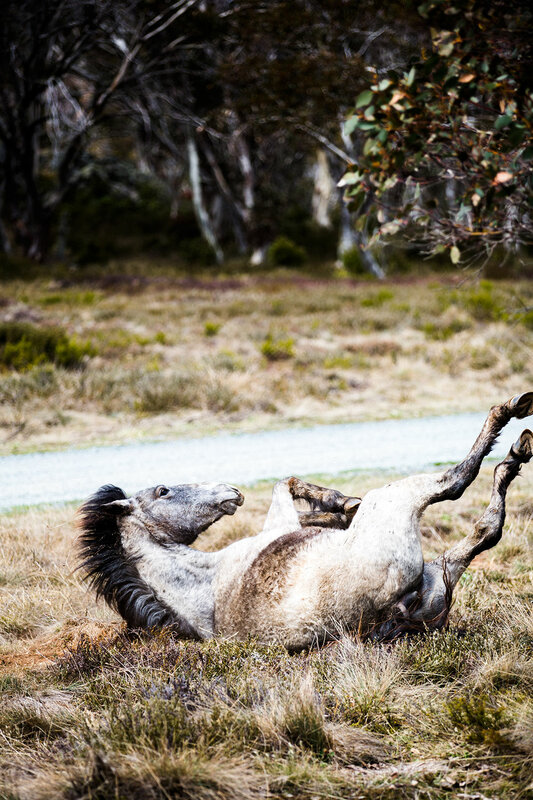 Brumbies are part of Australian folklore but they’re also highly controversial. 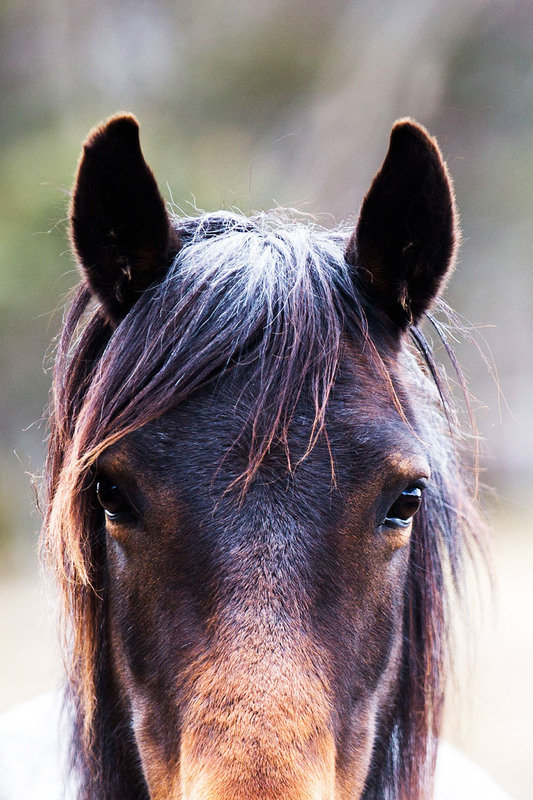 As an introduced species – they’re descended from horses brought over by British colonists – they threaten the delicate ecosystem of the high country, largely due to their hard hooves. 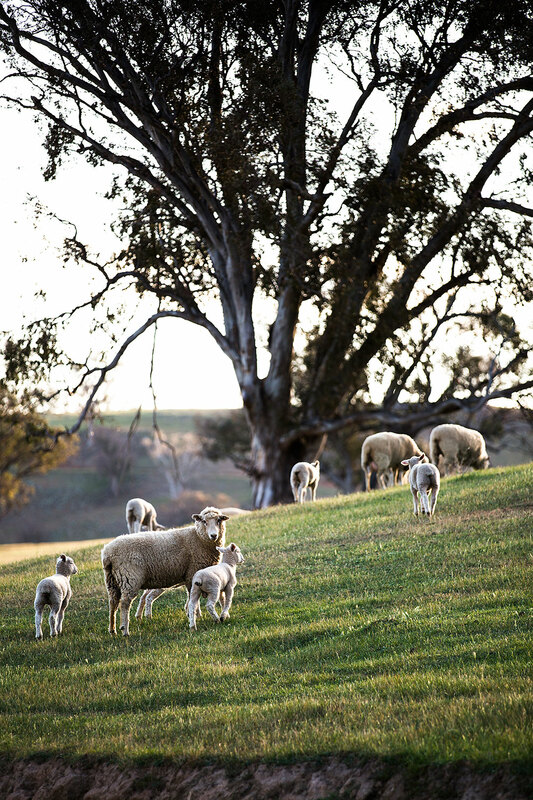 But they’re also loved by many Australians and earlier this year the government passed a law protecting them from culling and giving them ‘cultural icon’ status. It’s a difficult conundrum and I wanted to learn more. So in the October school holidays I convinced Coco that she could survive without her friends and the mall for a few days, packed the car and off we went. 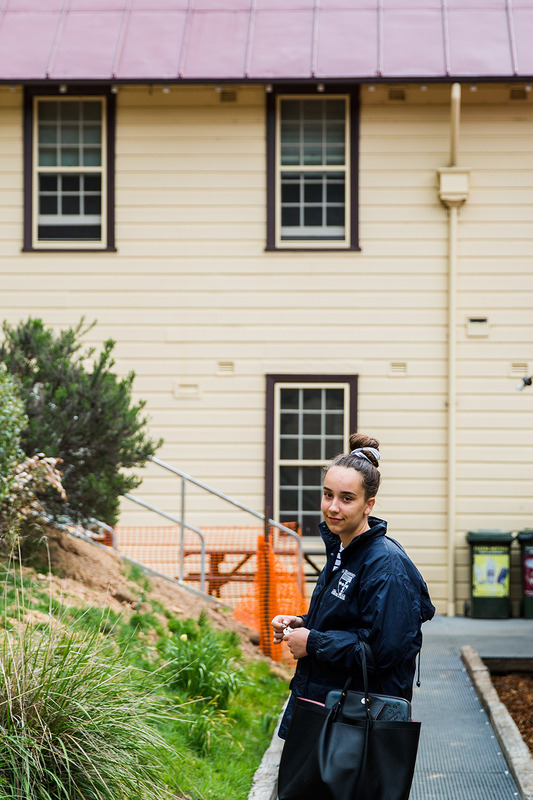 I knew exactly where to go and where to stay because I’d spoken to Regina, one of the guides in the Kosciusko National Park. She told me if I wanted to see brumbies, this was the deal. Drive to Gundagai from Sydney, take a left, head to Tumut along Brungle Road and then up the Snowy Mountains Highway until we got to Yarrangobilly. 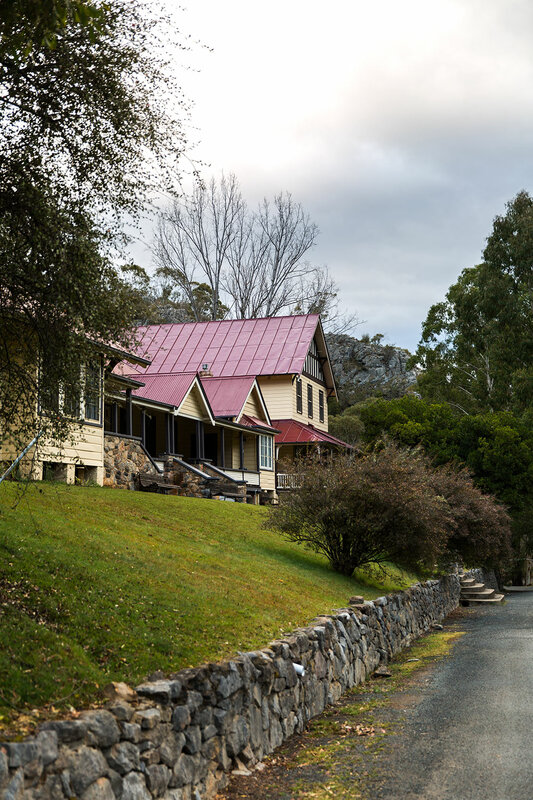 There we’d find “self-contained heritage accommodation” Yarrangobilly Caves House to stay in and a bizillion brumbies in the area to photograph. 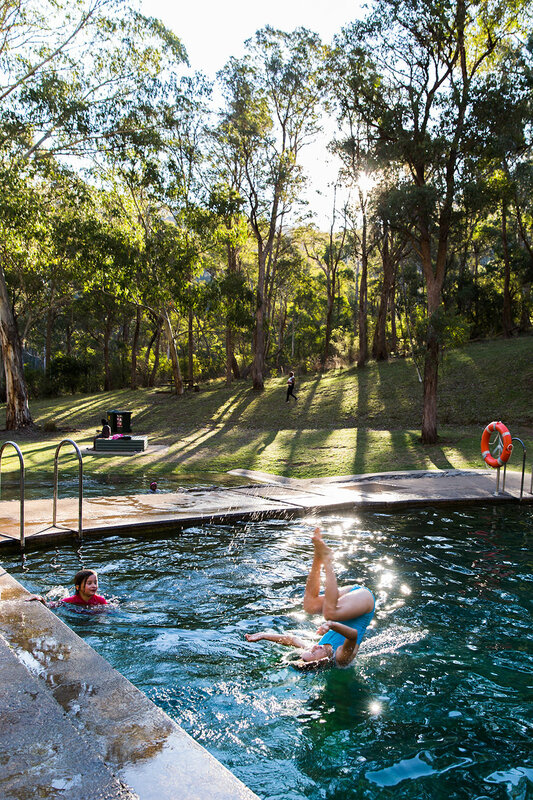 After a six hour drive from Sydney, we arrived at Yarrangobilly Caves House late afternoon. As the sun wasn’t far from setting, I made a beeline for the natural thermal pool Regina had mentioned was near the house. 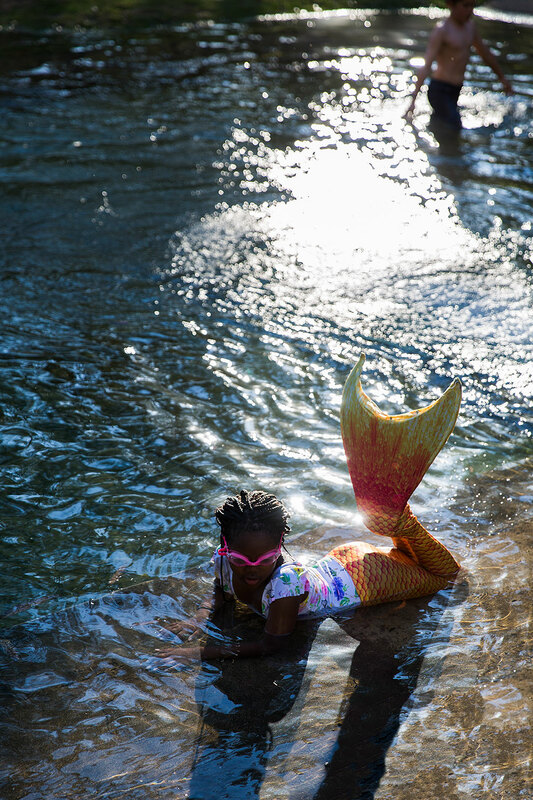 As if a body of ancient water in the middle of a national park wasn’t magical enough, I also found a mermaid sunning herself and merry children delighting in the aquatic wonder. After dipping a toe in the water that’s reputedly 27 degrees but feels chillier, I made my way back up the steep hill to see if Coco had managed to find our room in Yarrangobilly Caves House. 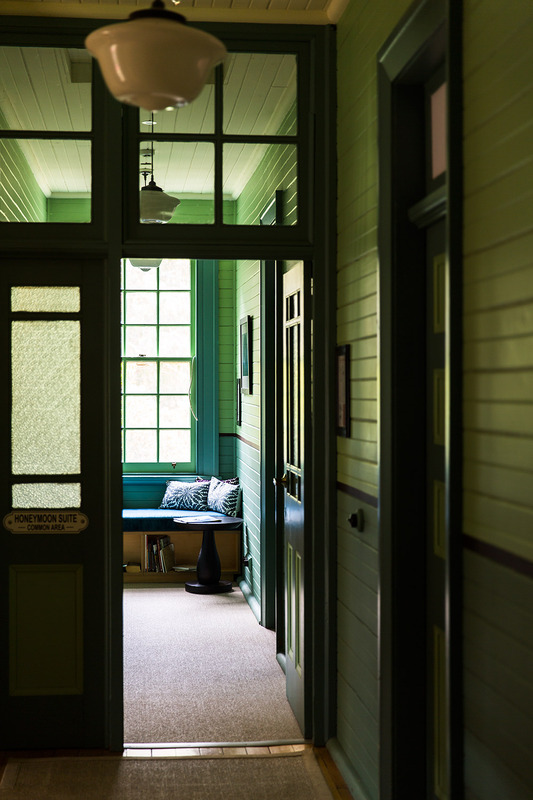 Built in 1917, the accommodation is exactly what you want in the middle of a national park – old enough to be atmospheric and renovated sufficiently to be comfortable, with a shared kitchen that’s kitted out with everything you need to rustle up three meals a day (yes, you BYO your own food). 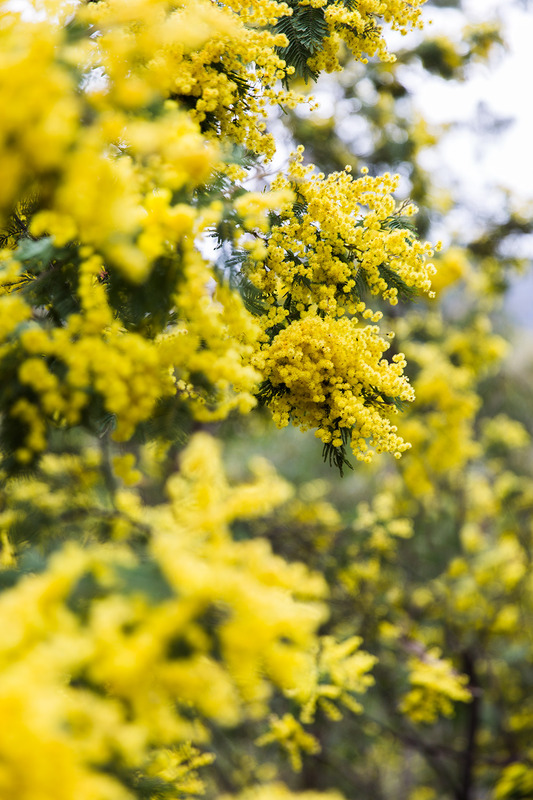 It was too late to head out to see any brumbies so I had to content myself by admiring the vivid yellow wattle in full bloom as well as a mob of kangaroos hanging around the house. 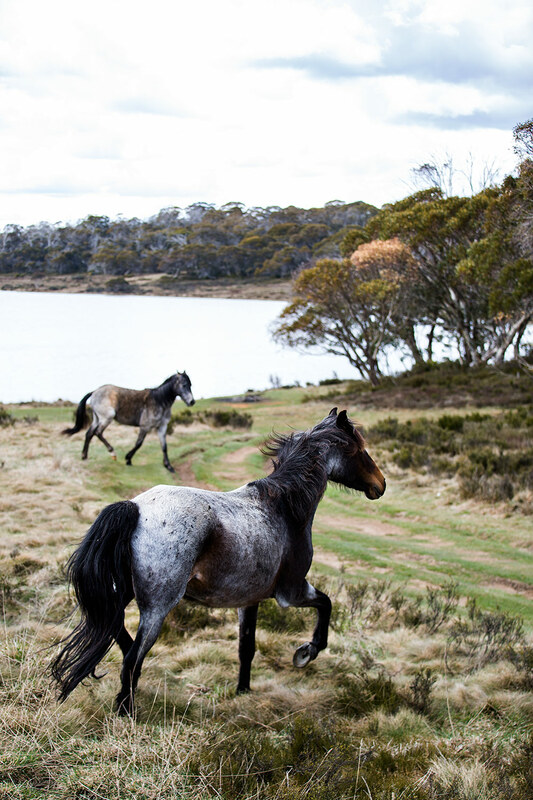 The next morning after breakfast I had my very first sighting of brumbies near Three Mile Dam. I got out of the car and with my heart beating a little faster than normal, slowly edged into the bush. I watched as a number of horses grazed before realising there was one brumby deep in the bush just staring straight at me. I was transfixed and for about five minutes we just stood and stared at one another. Eventually the staring competition ended and the brumby just wandered off. I followed him and hung around the mob for about an hour, watching and waiting to see what they would do. In their case it was graze, play, graze and occasionally stop to look at me intensely; they were just as curious about me as I was about them. Eventually Coco, who’d been waiting patiently in the car, came and dragged me away and we drove off. 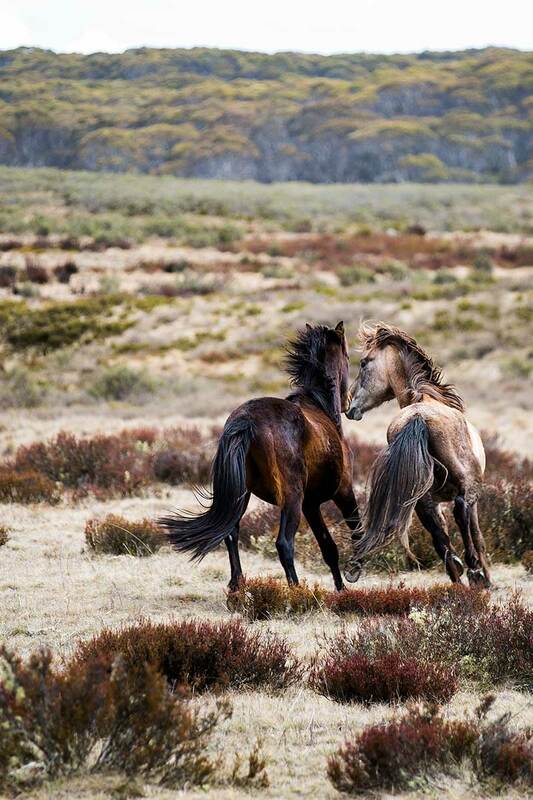 We’d only seen one mob and nothing dramatic had happened but I suddenly understood the passion people have for the brumbies – seeing horses in their wild state is incredibly moving. It doesn’t mean you don’t find the threat they pose to the environment extremely troubling; personally, I wish we could go back in time and somehow stop horses arriving here in the first place. But they’re here now, through no fault of their own, and I knew I wanted to keep going and photograph more. We headed back to the highway and not long after I had my second encounter – if I thought the first one was exciting, this was even more heart stopping. 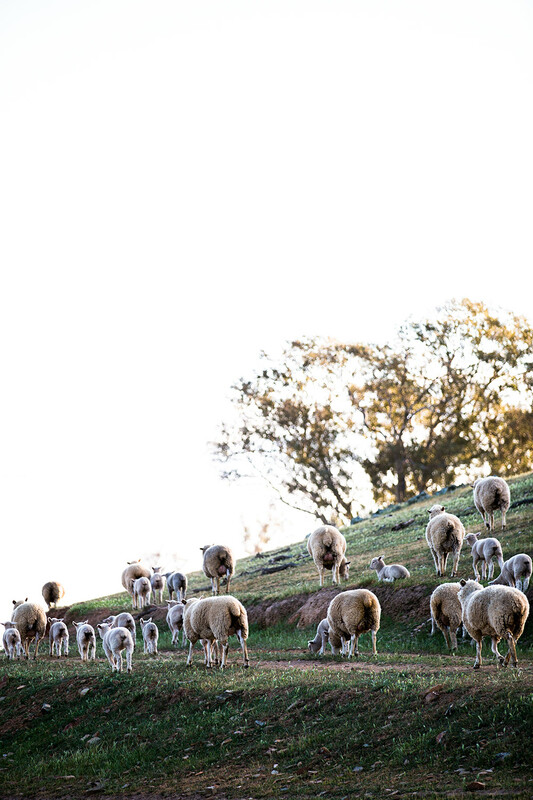 I’d seen a fairly large mob about 100 metres away from the highway, so I got out and slowly walked towards them. Unlike the first mob who had pretty much ignored me, these guys kept retreating. Until suddenly one of the stallions broke away from the others and started prancing back and forth. I managed to photograph the performance but when he stopped prancing and started coming straight for me it was my turn to retreat! 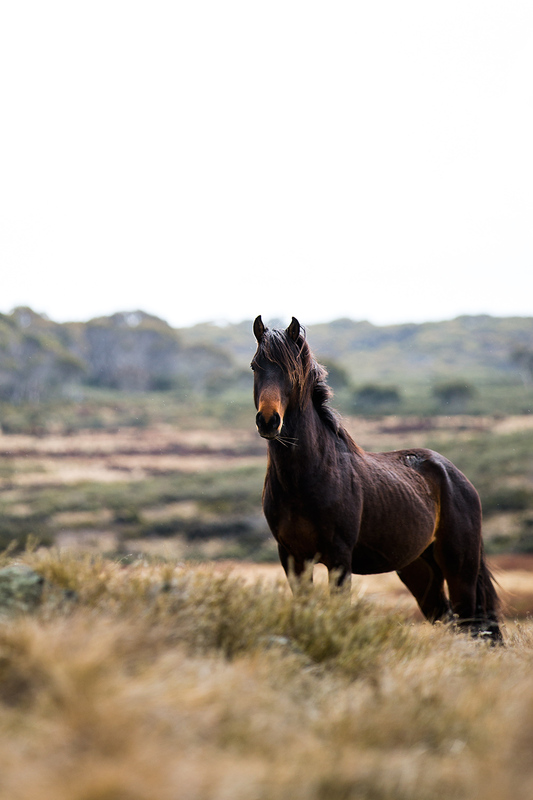 Coco was in the car about 200 metres away, watching a video with headphones on, completely oblivious to her mum clumsily trying to hightail it back over tall tufty grasses, madly trying to remember if anyone’s ever been done in by a brumby. I didn’t really think he’d attack me but I was genuinely spooked. I heard that stallion snort, I saw how aggrieved he was. I didn’t have a clue about what he might do and it made me feel like more of a city slicker than I already do. 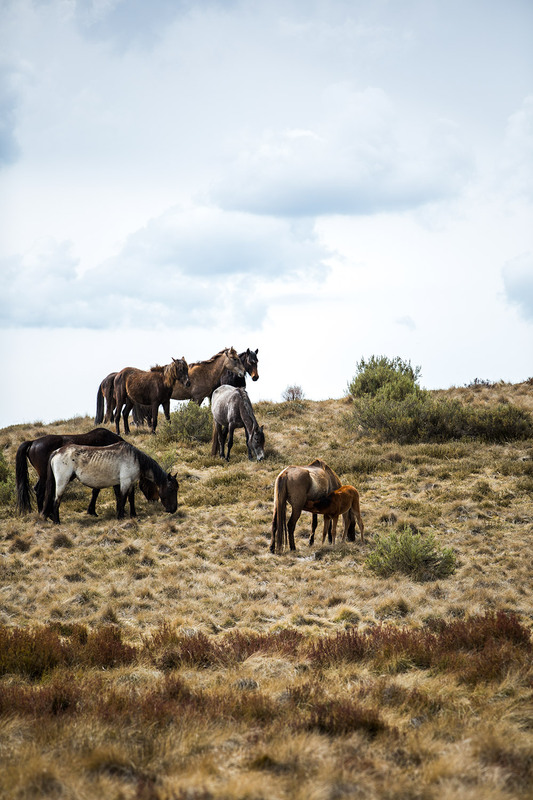 The penny dropped sometime later when I learned that each mob of brumbies is basically a family, with one or two stallions and many mares and foals. Dad, mums and the kids essentially. What that stallion was doing was protecting his family and although I didn’t present much of a threat, he was basically telling me to bugger off. 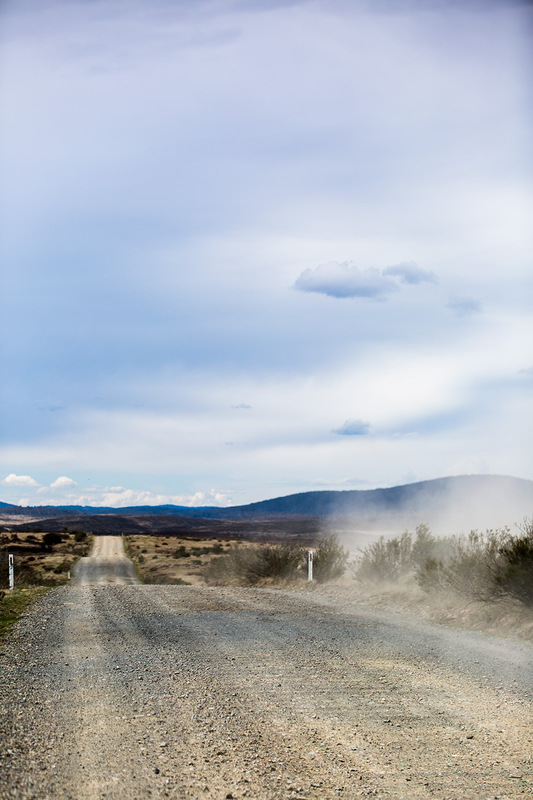 A few hours later, after continued trawling along the highway without seeing any brumbies (they’re not everywhere as you might imagine), I decided to try my luck by driving along an unsealed road called Long Plain. Nothing, and after about half an hour of rough road I gave up looking only to discover we had a flat tyre. 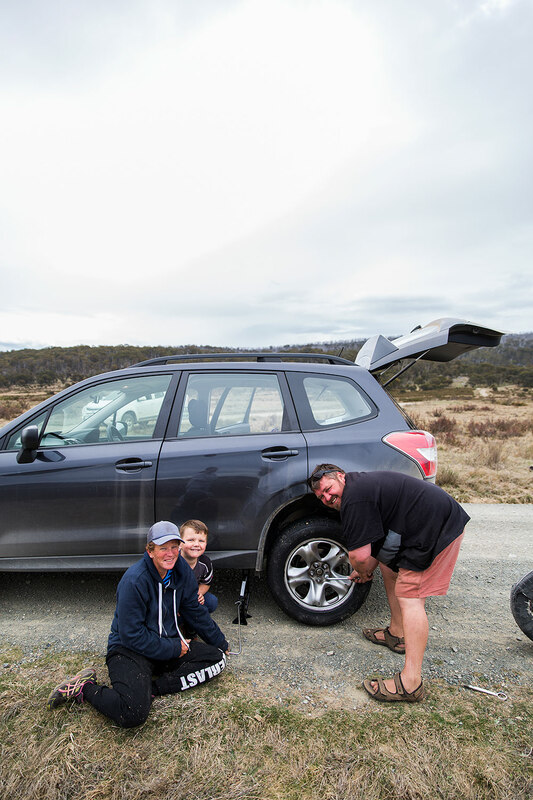 No problem for some people but for me it was the second heart pumping moment of the day – I’ve never changed a tyre and I didn’t fancy trying to do it for the first time out here in the middle of nowhere with not a soul around. What if I’d got it off but hadn’t been able to get it back on? So I drove back towards the highway, cursing at the top of my lungs, while Coco kept watch. It was only when she told me the rubber was starting to fly off that I stopped. And waited until two angels turned up and saved our bacon. After two nights in the high country it was time to head back down the mountain. 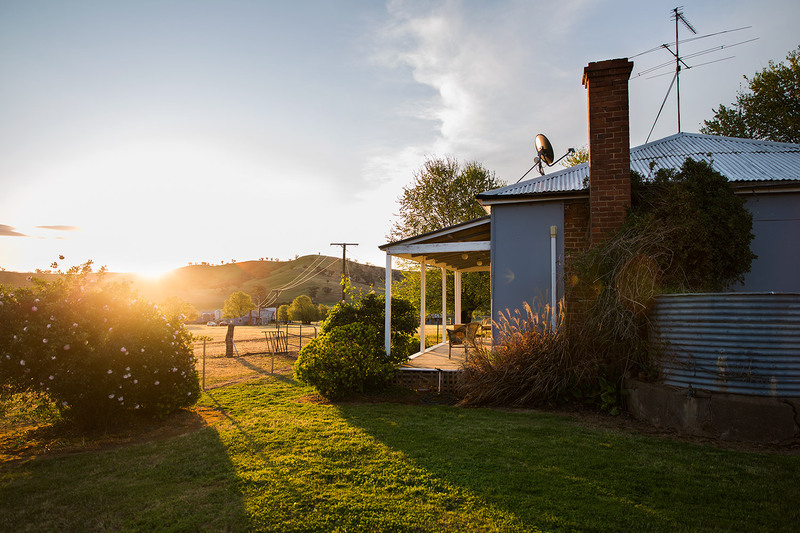 But rather than endure another six hour drive straight back to Sydney, I decided to break the trip by staying overnight in a cottage on a working farm called Kimo Estate just outside Gundagai. 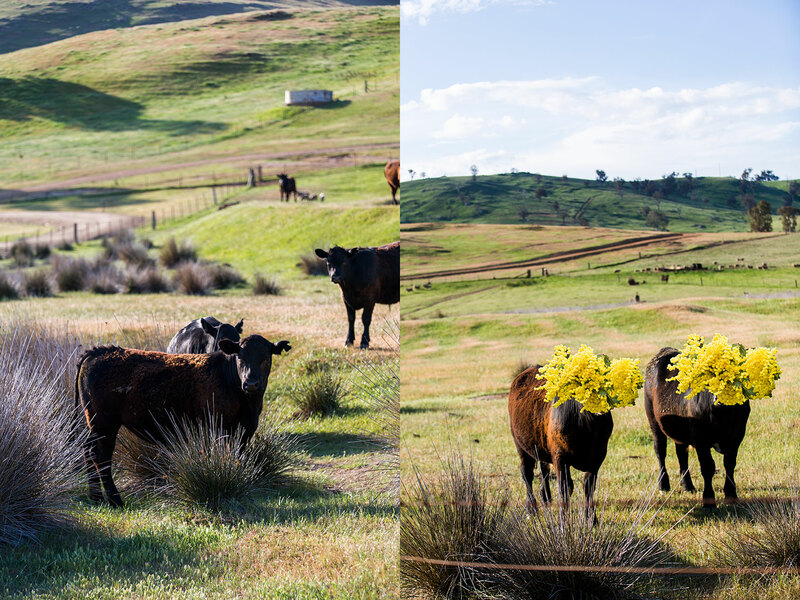 Despite being drought affected, much of the farm seemed to be covered in rolling green hills – so different to the alpine, arid high country. Here the cows were fat (and feisty) and the sheep well padded. Coco and I had the little cottage to ourselves, and after a brief photo shoot in a gale and dinner, we played a board game and lolled in front of a fire, before going to bed tired and happy. It was enough to make you want to move to the country. 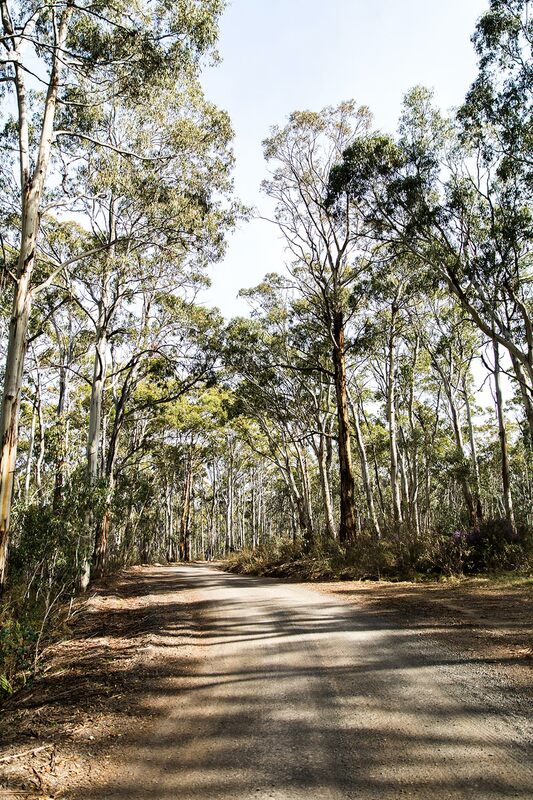 On our drive back to Sydney the next morning I had four hours to reflect on why the whole experience in the high country had been so much more interesting than I’d imagined; it had been my secret fear that as a city slicker who thrives on a chaotic mix of different things, I’d be bored. Not a chance. To begin with, you have these magnificent wild animals that aren’t in a zoo or behind a fence and you can wander into their territory freely and get as close to them as you dare. I found it exhilarating and slightly terrifying, in a good way. Yet these undeniably impressive animals are massively contentious; I spoke to a variety of people who all had an opinion on them. But even those who are pro brumby acknowledge their numbers are out of control. 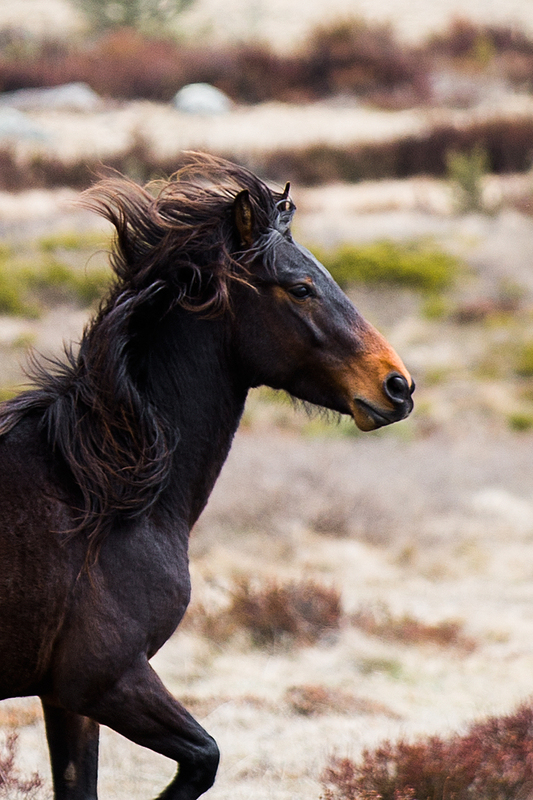 It’s an intriguing problem and until someone comes up with a palatable and effective method of reducing the brumby population – re-homing the horses sounds great but apparently it’s hugely expensive and not achievable on a large enough scale – it seems to me that it will remain unsolvable. 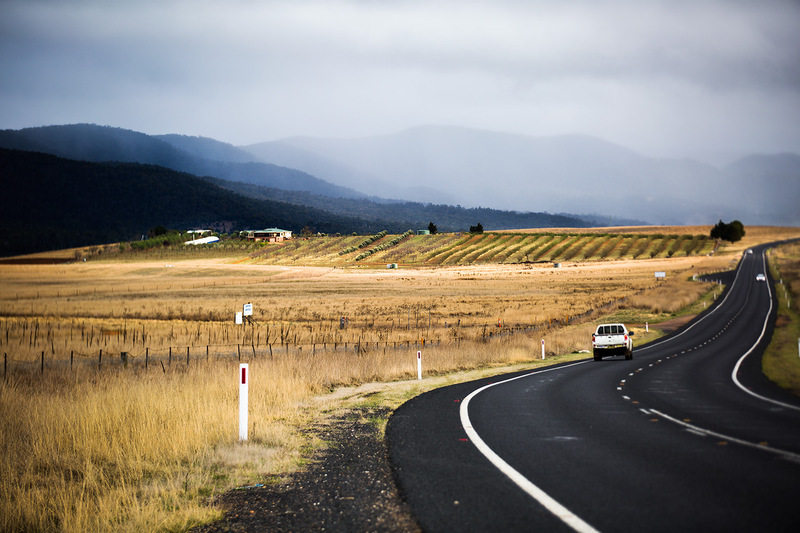 Another revelation was how arresting the landscape is in the Snowy Mountains, with its arid plains and rugged beauty. 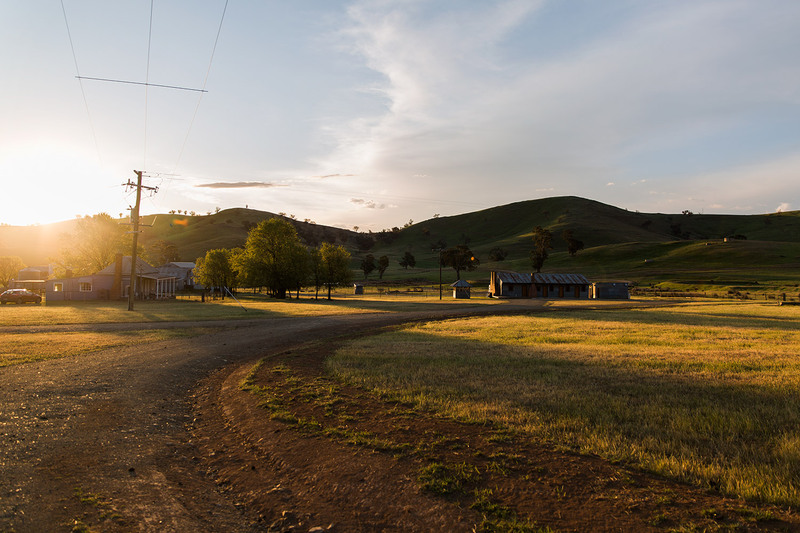 It’s so different to any other Australian landscape I’ve seen – in fact, it reminded me more of the south-west of North America – and I absolutely loved it. And the last thing that kept my interest was the overwhelming sense of freedom. Of course the free roaming horses symbolise freedom but it was also inspired by the lack of fences and infrastructure, as well as the fact there was virtually no one else around. 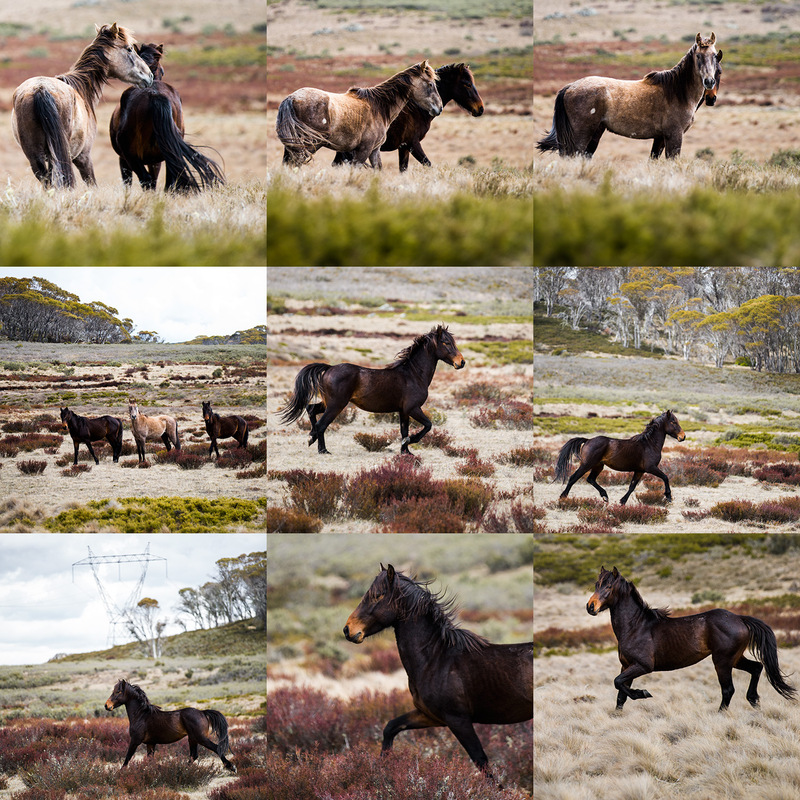 You’d pass a few cars and see a few people stopping to spy the brumbies but for the most part it felt like you had the world to yourself. At the risk of sounding OTT, it was a bit like being in a dream, with no internet or phone connection to bring you crashing back down to earth. As much as I wanted to progress to No 2 in 52 Journeys, I knew I’d have to go back. Your photos are stunning. I am going to enjoy this series so much. 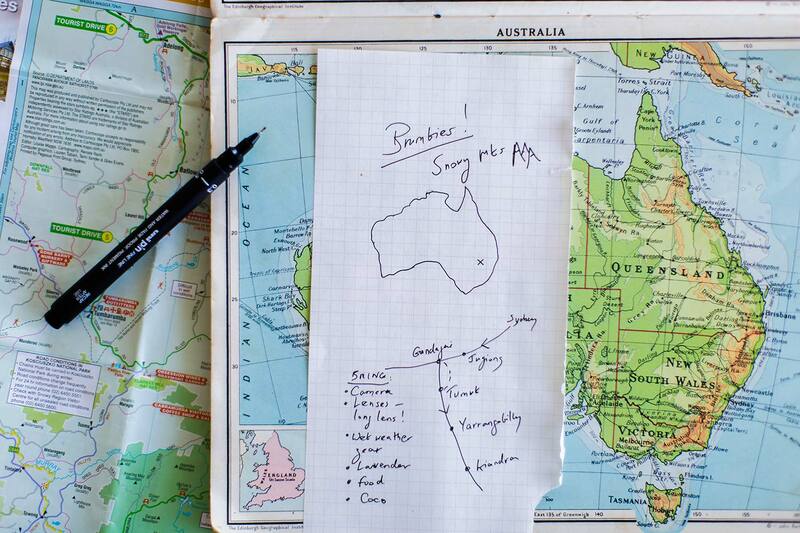 I’m especially keen to see where you decide to go. 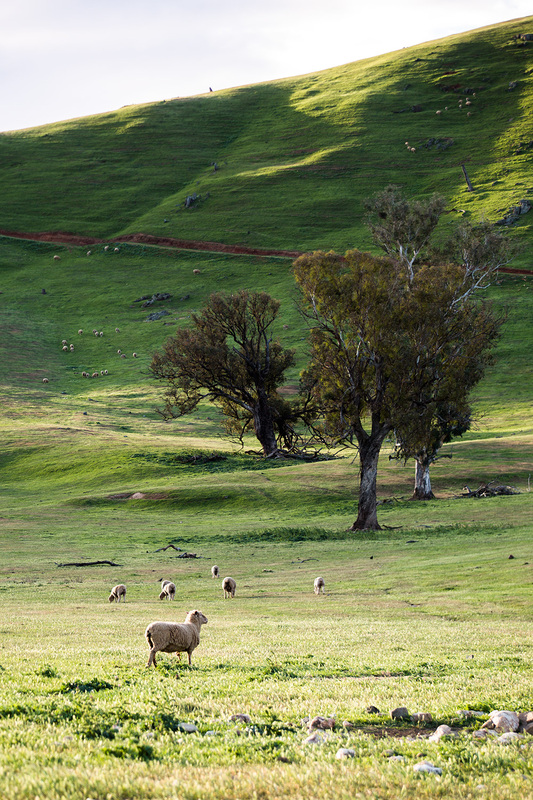 I know NSW pretty well, and it will be a delight to know it anew through your eyes. I haven’t been a city slicker for more than 50 years, but I can still remember the joys – and embarrassments – of my first encounters with the bush. Thank you Meg. Your comment about the joys and the embarrassments is so true. I felt both on this journey but mostly the joys. Can’t wait to see and share more with you. Your photos are as always stunning.I am looking forward to following you again. The countryside is beautiful. I grew up in Tumut. 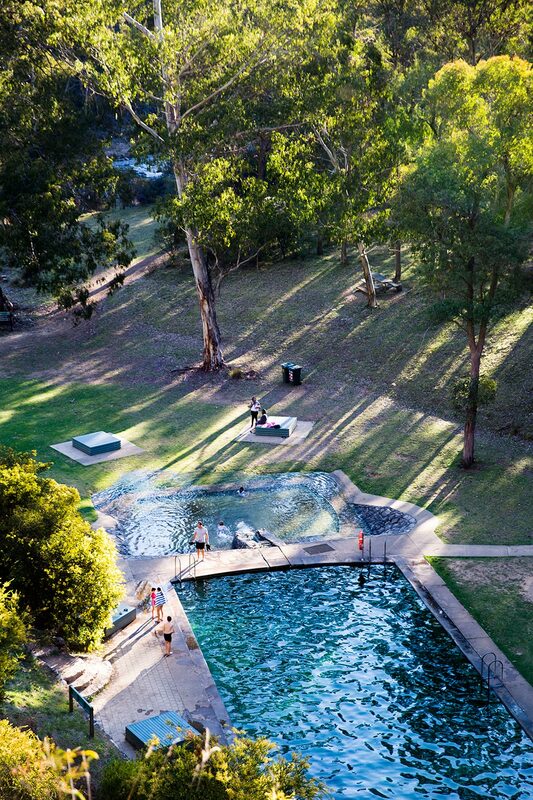 I have many fond memories of Yarrangobilly caves and swimming in the pools. It’s cold when you get out! 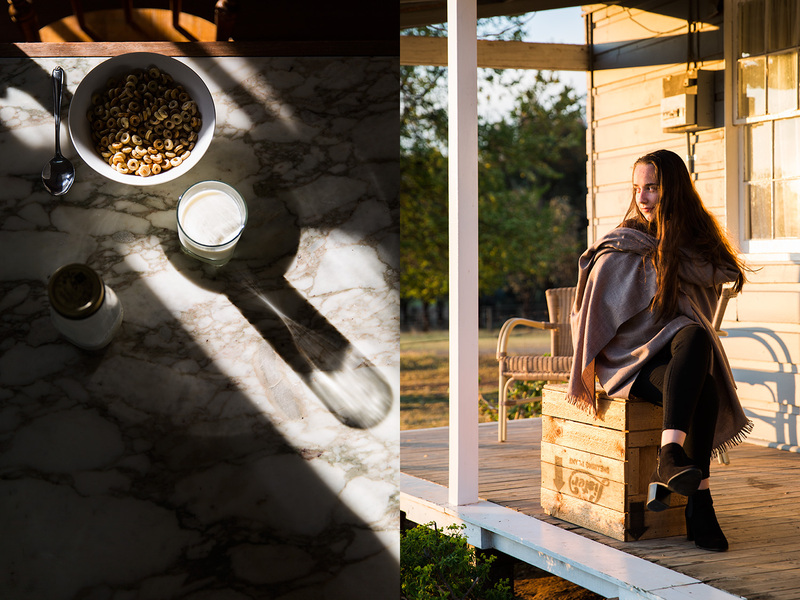 I camped out on Long Plain Road – drive on to the old Coolamine Homestead, it’s a photographer’s dream. We had a brumby pony called Star. He’d been captured as a foal and broken in (somewhat). We bought him from a woman on the Brungle Road where the little shop is at Brungle. He cost $100 with the saddle and bridle thrown in. He was what my parents could afford, with my granny chipping in half (she said she wanted the middle half). He had almost entirely his own mind and, looking back, was hilarious in his obstinancy and passive resistance to these three ignorant little horse mad girls. He was hard to catch, hard to bridle with his head up in the air, sucked in air to make sure the girth would be loose, he liked only to walk and had to be really forced into more speed. 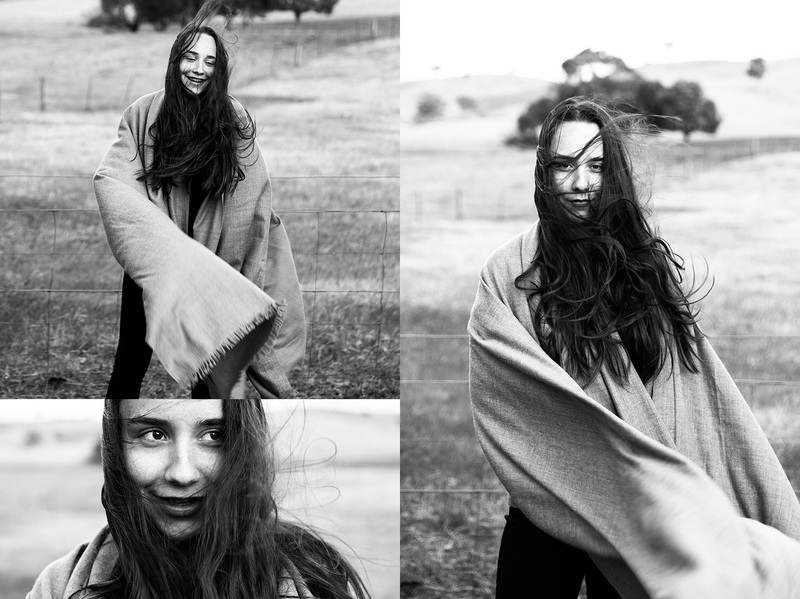 My images of galloping along jumping fences hair streaming were for naught with Star. I did win a ribbon for the “Walk Trot and Gallop” in the Brungle Gymkhana, purely because Star would walk the hooves off any other horse. He was so far ahead by the time gallop came up he came in third! 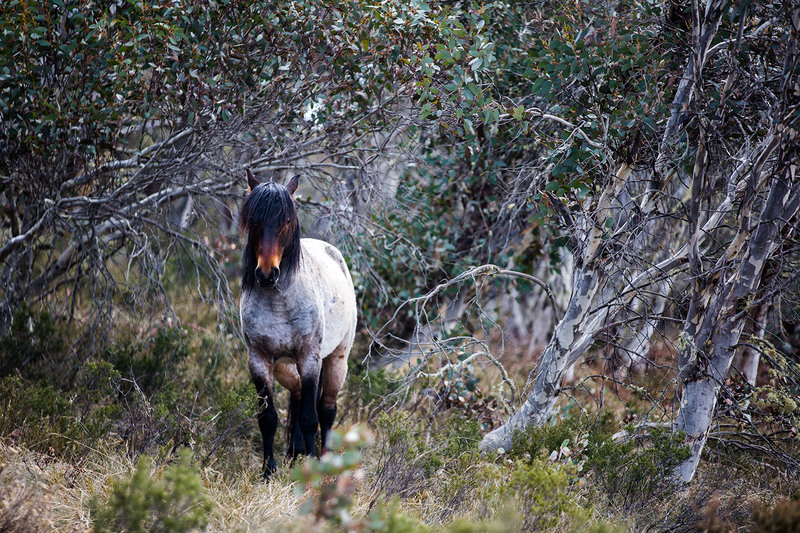 He had the classic brumby long coat, wide, wide hooves, stocky body and shaggy mane and tail. He was chestnut (my favourite colour, one plus for my dreams) and had, you guessed, a large white star on his forehead. His neck was so warm and furry and I would lie along his bony bare back and breathe in his scent as I held onto that neck in the warm sun. I loved that obstinate little horse so much. 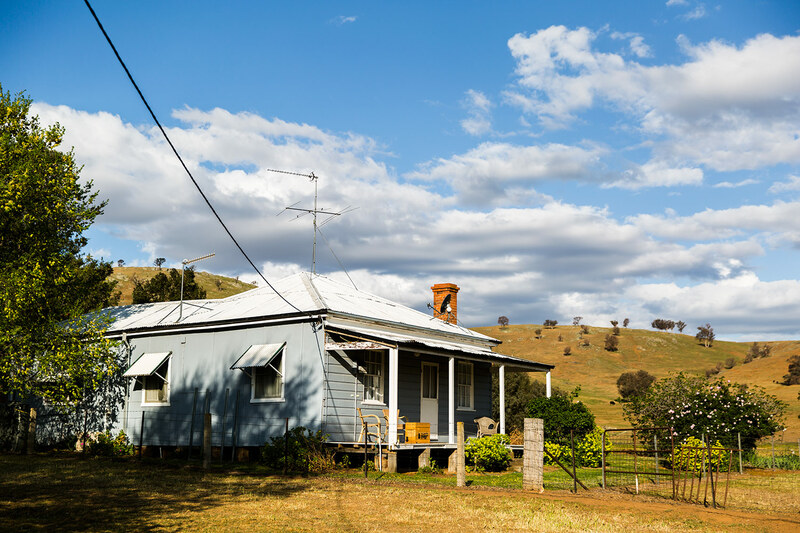 When we moved to Sydney he went to a friend’s farm, and one day not much longer, he just died, maybe snake bite. For a brumby he seemed to have no fear of snakes even if we rode right by one. Anyhow, enough of Star. 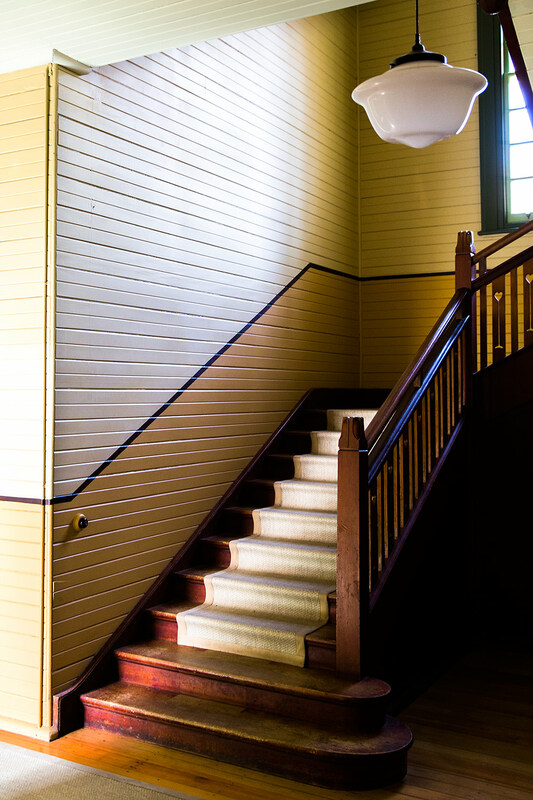 I love this blog, it speaks to my heart and so do the photos. 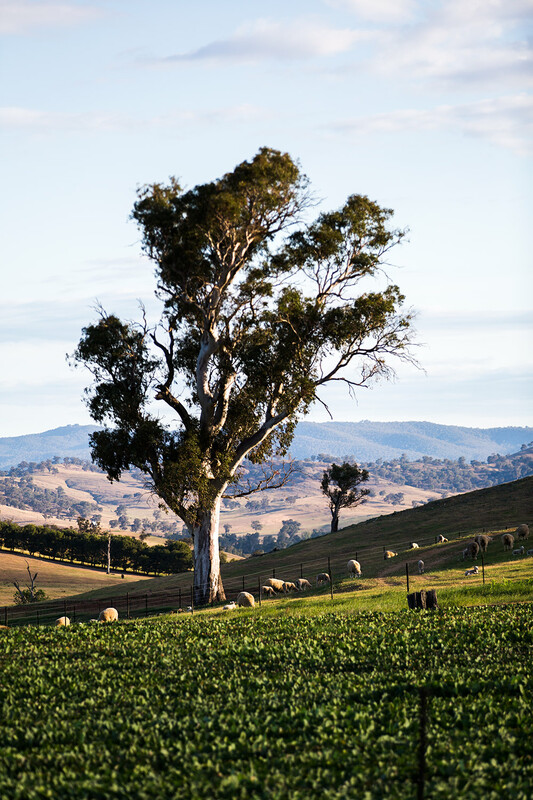 My soul country is Tumut and the Snowy Mountains, you have picked a beautiful place to be. If ever you want company Lachlan and I will come. PS not a stalker – we’ve met a lot of times with Suzanne!